Recent advancements in technology and industry expertise have combined to enable the supply chain to positively and practically impact menu availability. 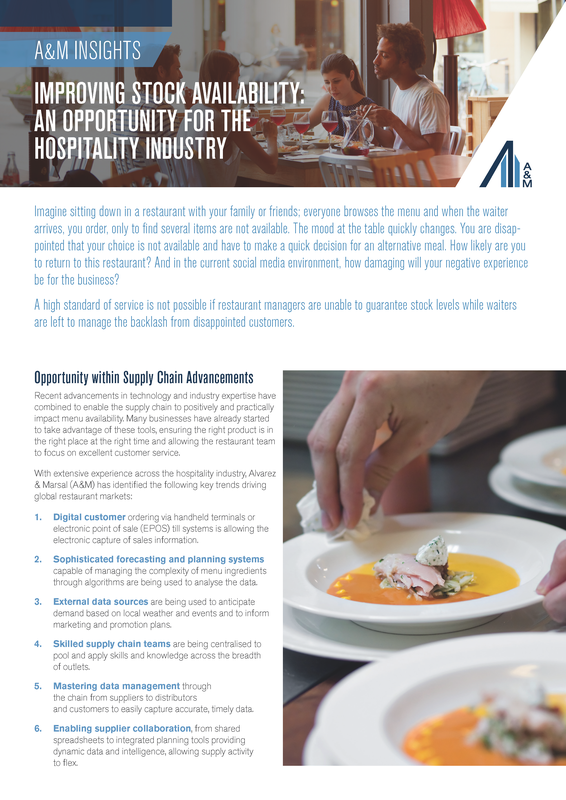 Many businesses have already started to take advantage of these tools, ensuring the right product is in the right place at the right time and allowing the restaurant team to focus on excellent customer service. With extensive experience across the hospitality industry, A&M has identified key trends driving global restaurant markets.